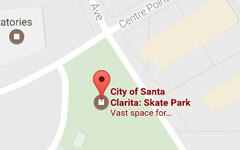 The Santa Clarita Skate Park Art Project will be adding a permanent public art piece to the community skate park. Where will the piece live and what will it look like? Help us determine this by taking our short survey! The Santa Clarita Skate Park Public Art Project was identified as a public art project in the City of Santa Clarita Arts Commission 2018 Work Plan and Public Art Proposal. 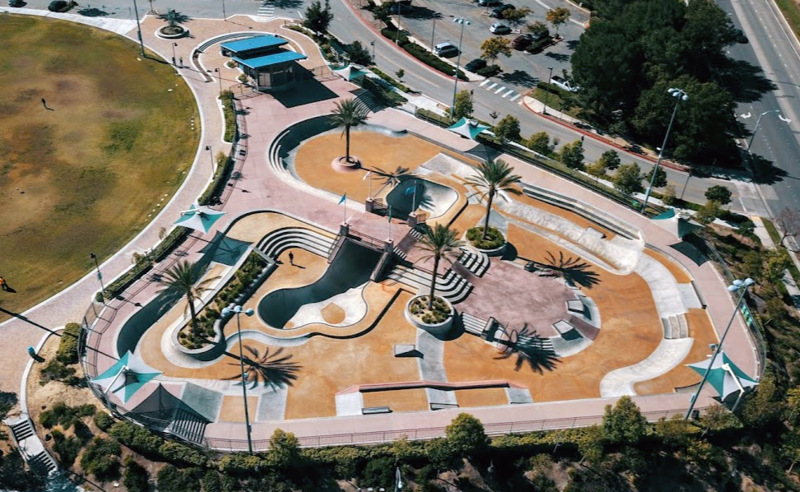 In September of 2018, the Arts Commission approved the selection of artist Miguel A. Del Real to complete a skate park community engagement plan in order to develop a project proposal. First, you must take the survey. At the end of the survey, you will be able to choose a workshop date. Artist Miguel A. Del Real will teach you urban art and painting techniques. Bring your own item to paint: Skateboard Deck, Canvas, Sketchbook, etc. 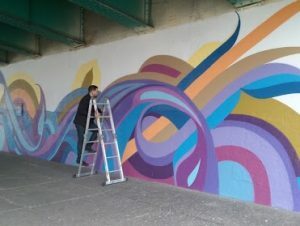 Miguel A. Del Real is an emerging mural artist whose signature style uses depth and layers to show conceptual imagery, line precision, and unique color combinations. Del Real finds inspiration from diverse cultural design motifs and the global art scene. 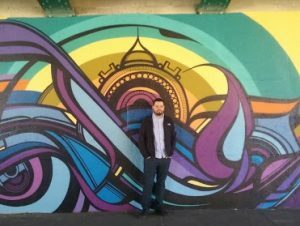 With a Bachelor of Fine Art from Northeastern Illinois University and experience as an Educator, Del Real has worked in both public art installation and fine art exhibition.